Chasity Ratliff received her Bachelor's degree from Southeast Missouri State University in Cape Girardeau, MO. Her general research interests are related to social learning and social behavior. 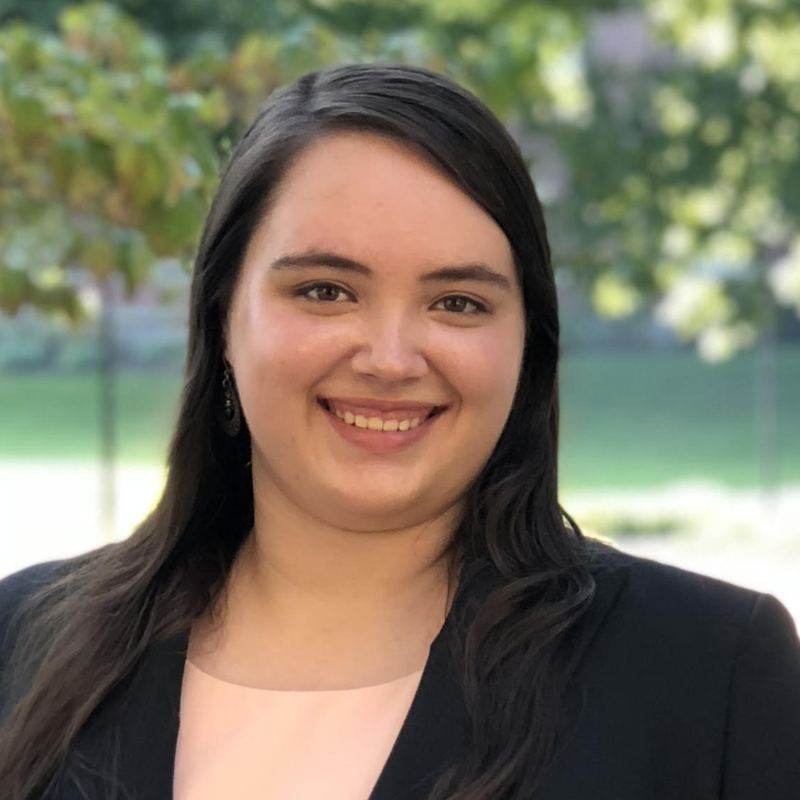 Chasity is currently a Graduate Research Assistant for Dr. Peter-Hagene in the Social Psychology and Law Laboratory, as well as an Associate for Applied Research Consultants. Emily Galeza is a graduate student in the Applied Psychology program. She was born and raised in Erie, Pennsylvania, and earned her B.S. degree at Penn State University, Behrend. 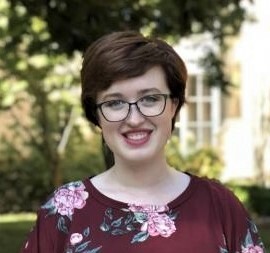 Emily is currently a Graduate Research Assistant for Dr. Peter-Hagene in the Social Psychology and Law Laboratory, as well as an Associate for Applied Research Consultants. She is interested in studying decision-making in various applied settings, including the legal system. 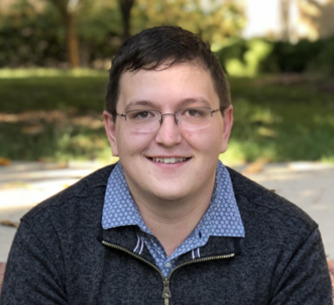 Adam Green is a first-year student in the Applied Psychology graduate program. He received his B.A. from Central Washington University in 2017. His research interests include group decision making, dynamics, and processes. His research experience includes mock jury deliberations, facial expression recognition/mimicry, and transgender bathroom legislation issues. He has presented posters at the Western Psychological Association and Rocky Mountain Psychological Association conferences. He received an award for Outstanding Achievement in Research from the Central Washington University Psychology Department. Miranda Nelson is a first year graduate student in the Applied Psychology program. She received her B.S. in Psychology from the University of Evansville in Indiana. Her general research interests include social justice related topics in the legal system. Miranda’s post-graduation pursuits include teaching at the university level. Colleen Bader, B.S. is originally from Mesa, AZ but received her Bachelor's degree from University of Evansville in Indiana. Her research centers around gender and gender stereotypes. She studies people's perceptions of female professionals in the legal system (e.g., police officers, lawyers, judges). Colleen also has a passion for statistics and research methods. Currently, Colleen works in the Social Work department as the statistical evaluator as well as the TA for Graduate and Undergraduate research methods. Heather Duzan is a senior in the psychology and criminology/criminal justice programs at SIUC. Heather is interested in the role of emotions in legal settings and presented a poster on the different effects of anger, disgust, and sadness on jurors’ verdicts at the 2017 Spring Undergraduate Research Forum. She also received the REACH award, which will allow her to conduct a Psychology and Law study concerning the emotions presented in the trial testimony of a child. Her broad focus is on how incidental and integral sadness can influence verdicts in a variety of cases. 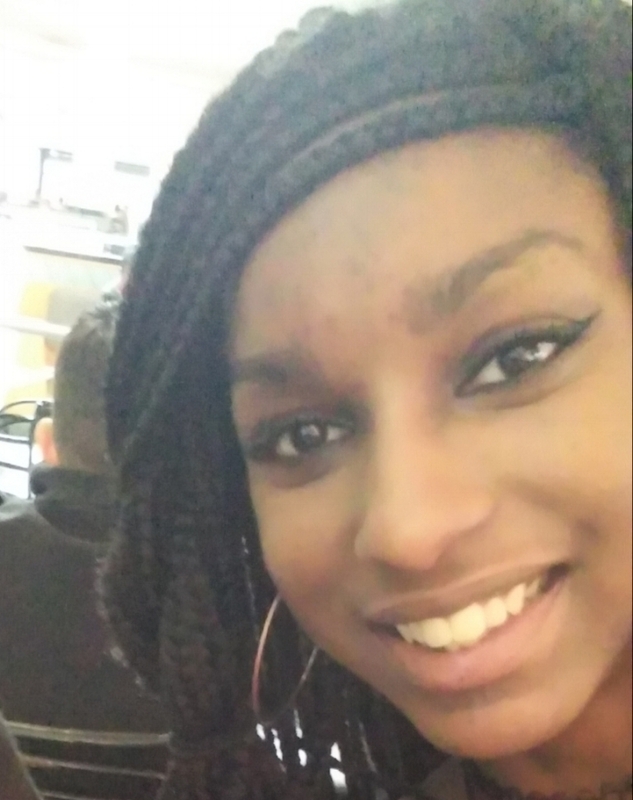 Deidra Davis is a sophomore student studying Psychology at Southern Illinois University. Her research interest includes criminal justice and social psychology. She wants to research how people's thoughts, attitudes, and behaviors influence the criminal justice system. Marlena Arjo is a senior at SIU studying psychology with a minor in biology. Her interests within the field of psychology include social psychology and law and clinical psychology. She plans on continuing her education after graduation. Kylie is an undergrad student in the psychology program. Her research interests include emotional testimony effects on jurors and juveniles in the court system. Aarren am a first year undeclared graduate student. He received a B.A. in psychology from Southern Illinois University Carbondale in May, 2018. He intends on furthering his education in psychology in graduate school to become an industrial-organizational psychologist. His research interest is the relationships between and within management and employees specifically, how goal alignment affects, productivity, moral, and employee turnover. After receiving a graduate degree I hope to become a management consultant. Maggie is a second-year Psychology student with a minor in Criminal Justice/Criminology. 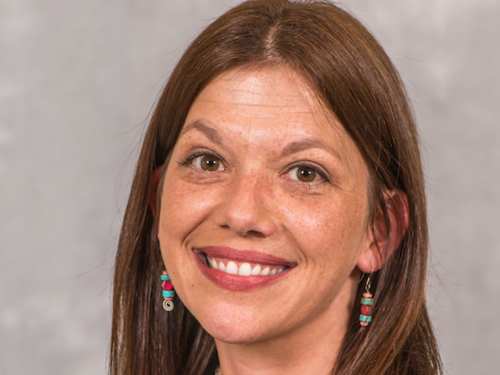 Her research interests include maladaptive social behaviors especially those relating to crimes against people and the environmental and genetic factors that drive criminal behavior. Maggie was just accepted into the McNairs Scholars Program, where she will be conducting her own research project next summer. ShanieseSha Love is a Senior in the Psychology Deparment here at Southern Illinois. She is interested in the interactions of police and marginalized minorities as well as child witnesses and the cognitive depletion of jurors. Shaniesesha Love is involved in many different RSO’s on campus including, Alpha Kappa Psi the professional business fraternity, Project Love, Healing Hands as well as Undergraduate Student Government. She plans on returning as a graduate student in the applied psychology program. Lisa Logterman is a sophomore student, double majoring in Criminology and Psychology. She hopes to combine her interests in these two fields in order to research: the motivations behind offenders, what plays a role in the sentencing process once offenders are arrested, and what happens psychologically to offenders once they are behind bars. Celeste is an undergraduate senior, majoring in Psychology. Her research interests include understanding the role of offenders, law enforcement interactions, and courtroom interactions. Briana Huerta is a senior at Southern Illinois University, studying psychology. Her main research interests are diversity and personality in the workplace. She will be sharing her work at the annual MPA conference in Chicago, IL later this year. After graduation, Briana plans on continuing her education and furthering her research. Colton is a Sophomore, Chancellor’s Scholar at SIU. He is studying Psychology with a minor in Criminology/Criminal Justice while on a Pre-Law track. In his free time, Colton is involved in several RSO’s on campus, such as: Inter-Greek Council, Undergraduate Student Government, Saluki Ambassadors, and the University Honors Program to name a few. He believes that his involvement in this lab will make him a better litigation attorney in the future. Kenneth Washington is a Research Assistant at Southern Illinois University, Carbondale. He completed his M.A. in Counseling Psychology at Southern Illinois University Fall of 2016. He is a third year graduate student in the Counseling Psychology Doctoral Program at SIU. His research interests include meaning in life among African Americans, intersectionality, and the use of culturally sensitive research methodologies.